Famous and successful actress in Nollywood of the Yoruba genre, Moji Olaiya has put all necessary plans in place to premiere her Yoruba epic film titled, ''ISESE'' . She told modernghana.com in Ikeja that she would first premiere the movie in Ekiti State in honour of the entire Ekiti citizens and also the sitting Governor, Engineer Segun Oni. Apart from Ekiti the home state of the ace movie maker (Moji), ''ISESE'' will equally be premiered in United Kingdom, USA, Canada and Lagos State. She clearly stated that as the event unfolds she would keep her teeming fans posted on the facebook, electronic and print media. According to her the movie extensively explores the rich culture of Yoruba race in terms of Yoruba syntax and semantics, costumes, and other ways of life as paraded in the old Oyo empire (pre-colonial era). Speaking further about the film, she said it featured her good self, Moji Olaiya-Okeshola (producer), Saheed Osupa as the leading actor, Adebayo Faleti, Baba Wande, Peju Ogunmola, Professor Adewale, Fokoko, Ogun Majek, Olofaana etc. Before this recent production, ''ISESE'', Moji to her credit has previously produced Ago-Alaago and Sobidire. While fielding questions from modernghana.com she said every moment for her on set is best confirming irrevocably that she never regretted her acting career which started some 9 years back, close to a decade. While narrating her experience in the make believe industry, she said: ''What brought me into limelight was ''No Pain No Gain'' a serial episode of Super Story from the stable of Wale Adenuga Productions, where I featured prominently as Ireti. Thereafter my first Yoruba production was Agunbaniro—produced Niyi Apena and subsequently, Sunmibare—produced by Dimeji Ijaduade. 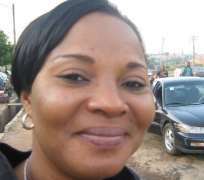 Moji Olaiya is the daughter of the legendary high life singer, Dr. Victor Olaiya. Digging into her private marital life, she affirmed that she is happily married; giving credit to her father that she had a strict and organized childhood with him, which afforded her and other siblings the best in education and unparallel morals. She however expressed deep appreciations to her fans in the diaspora and here in Africa, imploring them to look out for ''ISESE'' her latest movie which is fully subtitled in perfect English language. The film expressly affords the non Yoruba viewing and speaking audience to be at pleasure while viewing it when it is released to the market for purchase or when it will be displayed at varying cinema houses for exhibition. Emmanuel Ajibulu is a representative of modernghana.com in Nigeria to cover politics and entertainments.